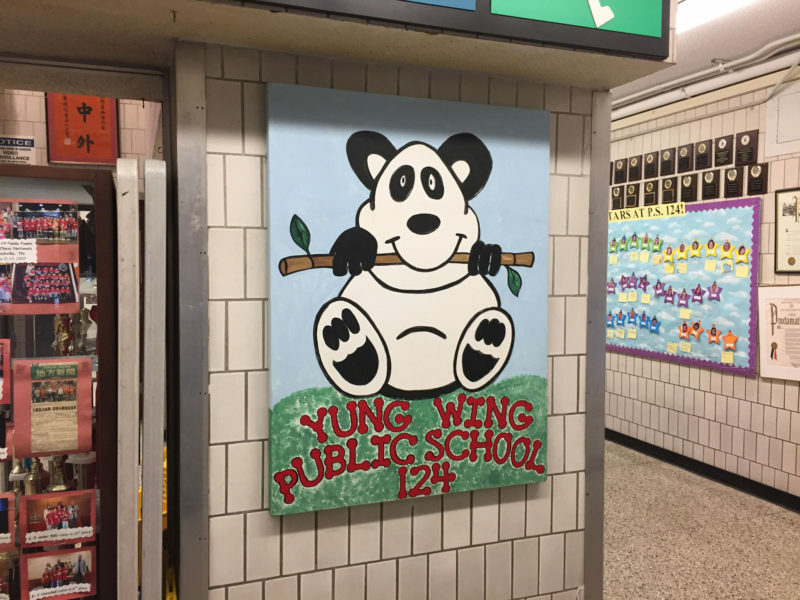 NEW YORK — It’s 3 p.m. at Public School 124, also known as Yung Wing School, in Manhattan’s Chinatown, and the theater club kids are ready to break a leg. There are just a few weeks left until their big trip to Atlanta for a three-day event called the Junior Theater Festival, and they’re hoping to add another trophy to the assortment that fills the school’s front lobby. “Sit up straight!” calls out instructor Kyle Garvin from the base of the stage. “Pretend there’s a string attached to your head, and it’s pulling you up!” Each of the 24 students, from grades three through five, suddenly grows an inch taller. An upbeat show tune adapted from the animated movie “Madagascar” fills the auditorium. One row of children, sitting with their backs to the instructor, turns and beams dazzling, thousand-watt smiles at an imaginary crowd. “It’s showtiiime!” they sing. Another row turns: “Showtime!” A third row turns. At the top of their lungs, they sing, “Showtime!” and leap to their feet. Low-income students with high levels of arts involvement had higher GPAs, were more likely to go to college and were more than three times as likely to earn a bachelor’s degree. 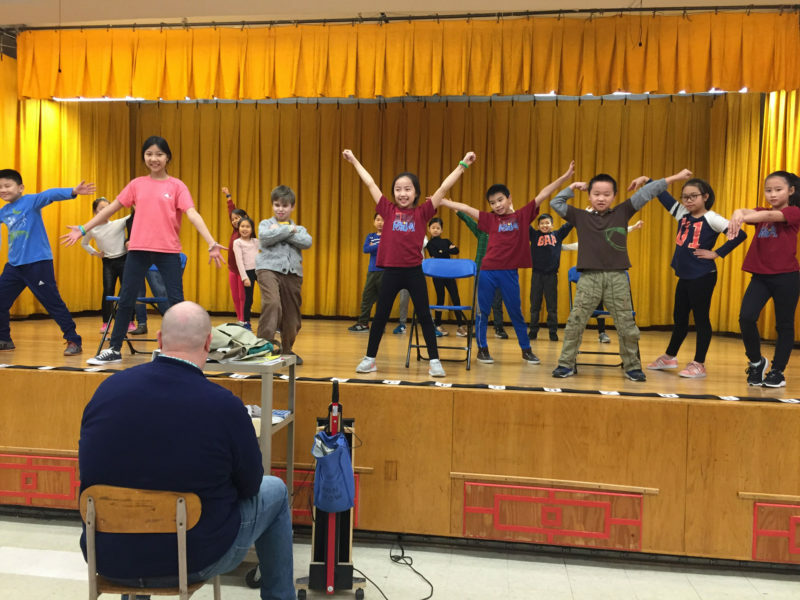 Like theater itself, this after-school program is a collaborative effort. 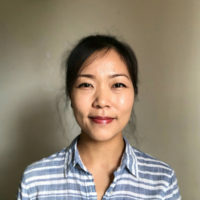 Now in its ninth year, it was developed with funding and expertise Lee secured through her theater-world connections, is taught by instructors from a nonprofit Lee co-founded called the National Asian Artists Project (NAAP) and is kept afloat through the devotion — and many, many bake sales — of Yung Wing’s principal, Alice Hom, and the club’s parents. Through their efforts, along with those of other outside arts organizations, they are introducing theater to more and younger participants, at an age when education experts say children are especially poised to benefit from it. They are also bringing more diversity not just to the audience for theater, but hopefully, over time, to Broadway stages as well. Related: Can testing save arts education? The Yung Wing theater club is a passion project for Lee. She grew up in Chinatown, too, before being plucked from the neighborhood at age 5 to perform in the original 1951 Broadway production of “The King and I,” starring Yul Brynner. That moment changed her life. She went on to become a professional director, actor and choreographer, most famously developing and playing the character Connie Wong in the original 1975 production of “A Chorus Line.” But she wanted to give back to Chinatown, a working-class neighborhood where she says exposure to theater is low, and people tend to view red-velvet-adorned playhouses as exclusive spaces not intended for them. In 2005, Lee co-founded NAAP to offer summertime musical theater programs to schoolchildren in Chinatown. The organization has since expanded into other efforts aimed at raising the profile of Asian-American artists, who are underrepresented in theater. (Lee won a Tony Award last June for her work with NAAP.) An annual study of Broadway and the 16 top nonprofit theaters in New York City, put out by the Asian American Performers Action Coalition, shows that from 2006 to 2016, Asian actors were hired for 3.7 percent of all roles, though Asians are 5.6 percent of the U.S. population and more than 13 percent of New York City’s population, per the 2010 census. Asians were also the group least likely to be cast in roles that did not call for a specific race. Around 2009, Lee learned about the Junior Theater Festival (JTF) in Atlanta, where students from across the country gather for three days to compete, take workshops and nerd out over musical theater. She knew instantly that she wanted the same opportunity for students in Chinatown. A two-year pilot program for a year-round, after-school theater club at Yung Wing was underwritten by Freddie and Myrna Gershon, a philanthropically minded theater-world couple (Freddie is co-chairman and CEO of the licensing company Music Theatre International). The program was developed with the help of iTheatrics, a company that produces JTF, and helps create theater programs in underserved schools. 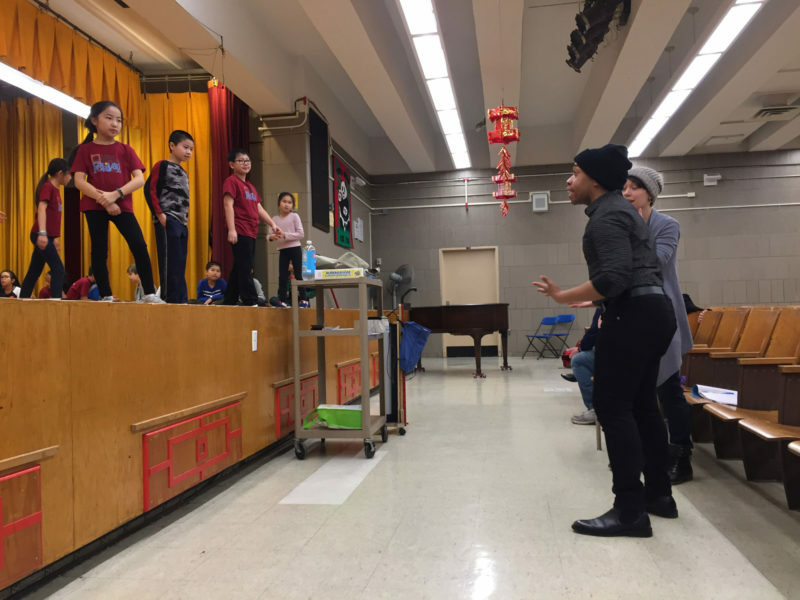 NAAP supplied the club’s instructors, professional performers who teach in their spare time, and who enable the children to have artistic role models who are people of color. When the fledgling club first traveled to Atlanta in 2011 for JTF, it was invited to perform on the festival’s main stage, in front of 6,000 people, and as iTheatrics founder Timothy Allen McDonald put it, “they got a standing ovation and brought down the house.” Each year since, they have won numerous awards, including the trophy for Outstanding Production for the best overall elementary school performance three years in a row, from 2013 to 2015, and again in 2017. “After that [first win], the parents were like, ‘Wait a minute, we have an award-winning theater club? We’ve got to do it again!’ ” said McDonald. Indeed, the Yung Wing school parents have embraced the club wholeheartedly. After the initial two years of funding were up, they took it upon themselves to keep paying for it. It costs more than $1,000 per student, in the most expensive city in the United States, in a predominantly immigrant neighborhood where the average family income is $37,362. But to the parents, it’s worth it. Another parent, Philippines-born Evelyn Leon, said theater education has brought her two daughters “improved self-confidence [and] better public speaking skills … Especially with my younger child who is on the more shy side.” She noted that she learned public speaking from a course during college, but that her elementary-school aged daughter is already able to speak confidently in front of groups. Related: Theater helps English language learners master Common Core: But can it close the achievement gap? Those benefits — not to mention the plain old desire to make school a fun, joyful place — are what drive iTheatrics’ mission. In the past, the company has worked with entities ranging from the John F. Kennedy Center for the Performing Arts in Washington, D.C., to New York City’s Department of Education, to help schools develop sustainable theater programs. Most recently, iTheatrics completed a two-year pilot program in Cincinnati, in conjunction with the Educational Theatre Association, which will soon bring its efforts nationwide, through an initiative called JumpStart Theatre; iTheatrics also partners with local community theaters and schools to hold one-day versions of its Junior Theater Festival in places like Salt Lake City, Utah; Newark, New Jersey; and Charlotte, North Carolina. A study found an 18-percent difference between dropout rates for low-income students with high arts participation (4 percent drop out) and those with less arts involvement (22 percent). Sarah Chiu, a junior in high school who participated in the theater club during its second year, says the experience she had in Atlanta is a major reason she now attends Talent Unlimited, a performing arts high school in Manhattan. She recently appeared in an “off-off Broadway” production, and is thinking of becoming a playwright. “I would love to maybe write musicals and really represent the Asian-American community,” she said.